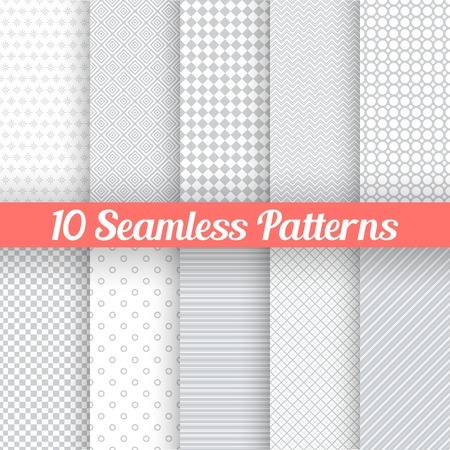 10 Light grey seamless patterns for universal background. Vector illustration for web design. Grey and white colors. Endless texture can be used for wallpaper, pattern fill, web page background.